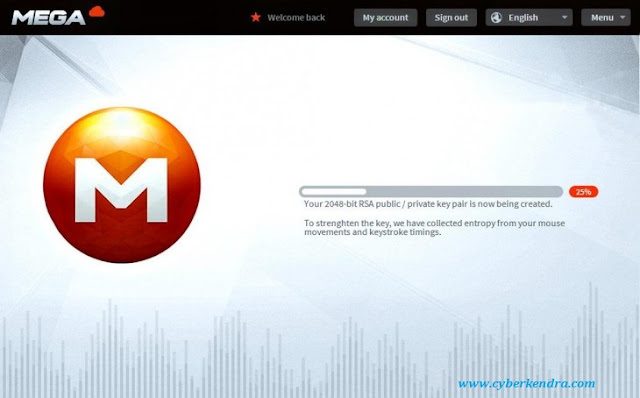 As on 19 January last year US government have closed one of the biggest file sharing and hosting service "Mega Upload". This is because it was the hosting where most of the pirated stuf have been found and the host was not banding the services nor deleting the stuff.. But Mega Upload is again back with the new brand name as " MEGA.DOTCOM" service which will be hosted at the New Zealand based domain Mega.co.nz. This time the service is very much effective and secure. Yesterday on the same day of it closing it was again launched, and the big thing is that site is getting very much response from its fans. As per the stats says that after the official launch of site it get registration of 250,000 in first 2 hours. Here are some of the screen shots of the site.. that tell about the site... have a look..
By this we can see that site will provide the service in 2048 bit RSA encryption. So quite effective and secure. 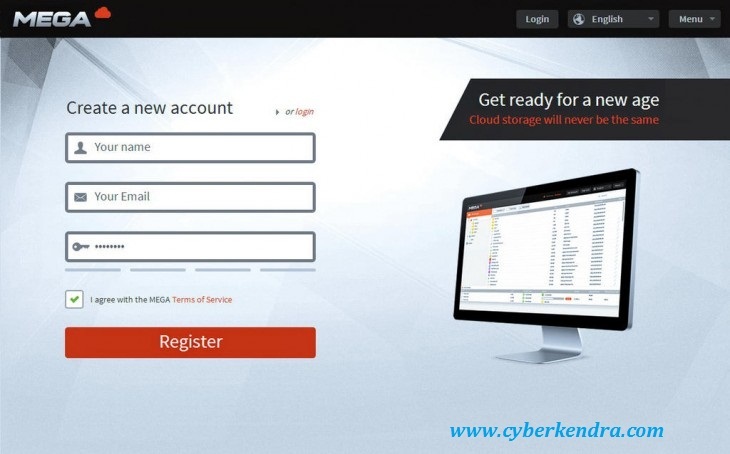 On Registration Mega is offering 50GB of storage for the free subscription. Site also available for all the language. As Mega is providing the service as cloud storage service. By the above screenshot its looks that service will compete with other cloud storage service like Drop Box and Sky drive. User can also use it as email client, as it have contacts and E-mail on the right side.